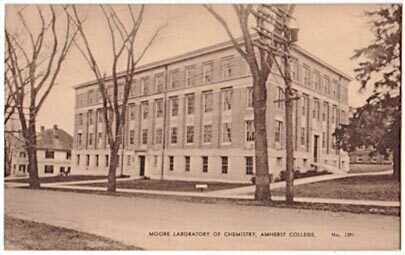 The Moore Chemistry building was named in honor of William H. Moore, a member of the class of 1871, ex. His widow and her two sons donated the money to pay for the building, designed by James Kellum Smith '15 of McKim, Mead & White . Smith had just joined firm, and Moore was his first building. The construction was begun in the fall of 1928, and the building was dedicated in October of 1929 (King, 181-183). 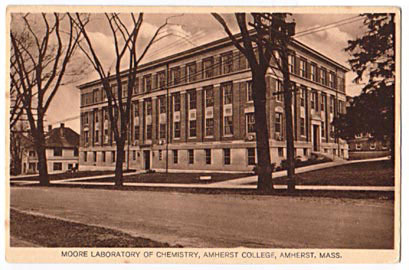 After the construction Merrill in the late '60s giving the Chemistry department a new home, Moore was converted to an upperclass dormitory in 1976.